Dedicated server hosting in Chicago offers great connectivity to the eastern United States, but servers in this city are often expensive and do not include some useful features. ServerMania offers a much more affordable option by hosting your dedicated server at our data center in Buffalo, New York. Located just 500 miles from Chicago, Buffalo delivers exceptional North American connectivity at a fraction of the cost. This makes Buffalo the perfect choice for enterprise-grade dedicated servers. 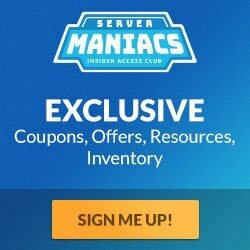 With custom built servers and 15 minute response times, ServerMania is here to meet the needs of any client. Buffalo dedicated servers start at just $89 per month, making them an affordable alternative to Chicago dedicated servers. Buffalo offers the same great connectivity as Chicago, with 120Gbps of capacity to Tier-1 carriers like Level3, Telia, Torix & XO Communications.